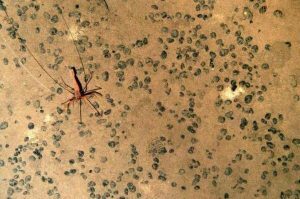 Analysis by scientists at the National Oceanography Center in England suggest deep-sea mining operations will have long-lasting ecological consequences. Researchers reviewed the available scientific literature on small-scale sea-floor disturbances and found clear and measurable impacts to marine ecosystems lasting decades. As metals become scarce on land, the mining industry has turned its attention to the deep sea floor, where vast expanses of nodules rest. Nodules are potato-sized rocks featuring significant amounts of high-quality metals like copper, manganese and nickel. No commercial deep-sea mining operations are yet underway, but the International Seabed Authority has issued several exploratory mining licenses to companies from multiple countries. Scientists have been conducting sea-floor disturbance experiments since the 1970s. The predictive value of a single experiment is limiting, but by surveying a variety of these experiments, scientists at NOC were able to identify broader patterns.